2. Heat a cast iron skillet over medium-high heat and add 2 tablespoons butter, shallots, garlic and mushrooms. Add fresh tarragon and thyme to mushroom mixture and cook for 10 minutes. Remove mushrooms and set aside. 3. In the same skillet, add 1 tablespoon of butter to the cast iron skillet and toss spinach over medium-high heat until wilted. Remove spinach and squeeze with a paper towel to remove some of the excess water. Set aside. 4. Season each portion of antelope on both sides with salt, pepper and a little garlic powder. Add remaining butter to skillet. Sear antelope over high heat for 3-4 minutes on each side until brown and crisp on the outside. Remove from heat. 5. 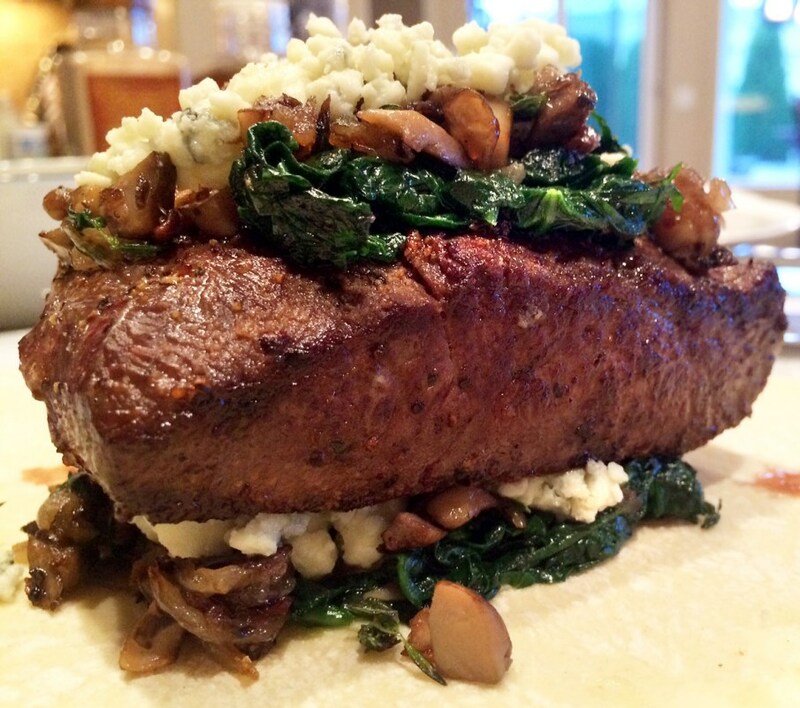 On your counter arrange mushrooms, spinach, Gorgonzola cheese and antelope. In a small bowl, gently whisk egg and 1 tablespoon of water. 6. Sprinkle a work surface with flour. Unfold the pastry sheets on the work surface. Roll the pastry sheet into a rectangle. Cut each sheet in half so you can use for antelope steaks. 7. In the center of the pastry add spinach, Gorgonzola cheese, mushrooms and antelope. Then top with mushrooms, cheese and spinach. 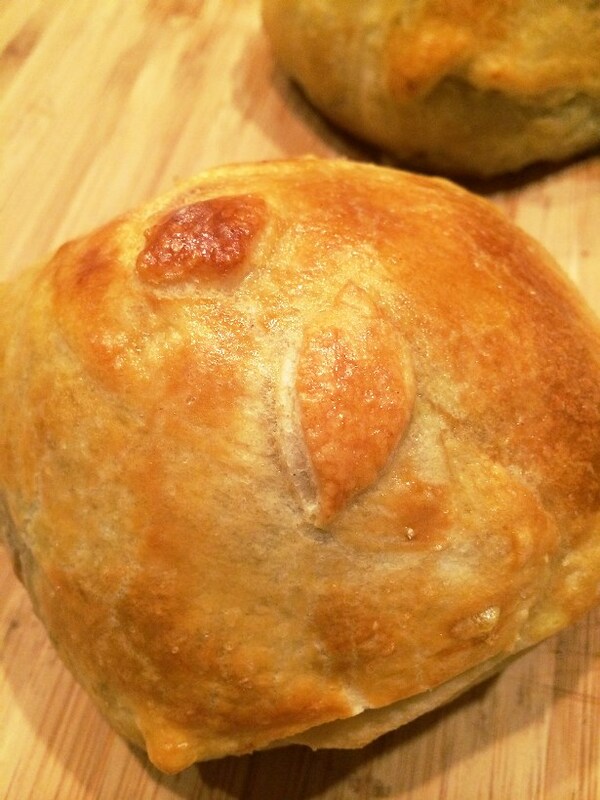 Fold the pastry over the meat and press to seal. Place seam-side down onto a baking sheet. Tuck the ends under to seal. Brush the pastry with the egg wash.
8. Bake on a baking sheet for 20-25 minutes or until the pastry is golden brown. Remove from oven and let rest for 5 minutes before serving.